MEXICO CITY (CNS) — An Archdiocese of Mexico City publication questioned a rebuke from Pope Francis, in which he criticized Mexico’s bishops for living like princes and resting on their laurels and called on them to fight “as men, face-to-face” if they do fight — an allusion to disunity in the episcopal conference. An editorial March 5 in the archdiocesan publication Desde la Fe wondered if the pope had been properly briefed on Mexican matters prior to his Feb. 12-17 visit, saying the work of the church had kept more than 80 percent of the population professing Catholicism — among the highest levels in Latin America — even in the face of evangelical missionaries, an officially secular state and times of church persecution. It also insisted priests across the country were properly responding to a population the pope told them to attend to better. “Here it must be questioned: Does the pope have some reason for scolding Mexican bishops?” asked the editorial, which offered a staunch defense of the church hierarchy. The pope’s speech came as Mexico’s church fielded criticisms from Catholics involved in human rights issues that the hierarchy was speaking out softly on issues such as crime and corruption and seeking favor from the political class. The editorial received widespread attention in Mexico, where coverage of Cardinal Norberto Rivera Carrera is often negative and media erroneously interpret statements in Desde la Fe as official statements from the Mexican bishops’ conference. Sociologist and church observer Rodolfo Soriano Nunez says the editorial exposes lingering displeasure of conservative Catholics — who are influential in the Archdiocese of Mexico City — with the pope’s messages in Mexico and broader agenda. “It confirms (Cardinal Rivera’s) rejection of the pope’s reform … but also his unwillingness to accept any kind of criticism,” Soriano said. Father Hugo Valdemar Romero, spokesman for the Archdiocese of Mexico City, said the editorial was written by staff at the publication without input from Cardinal Rivera. Father Valdemar, however, said it was an attempt to set the record straight on issues such as unity among the bishops and church hierarchy’s attention to the faithful. “There are not these kinds of fights in the bishops’ conference,” he said, adding Cardinal Rivera has had no conflicts with anyone in the conference and was not in opposition to Pope Francis. “It’s not a church that has been distant from the people,” he added, pointing to census data showing the Catholic population remaining above 80 percent as proof the bishops were properly serving their dioceses. Soriano said some in the church selectively use census data, in which Mexicans self-identify religious affiliation. 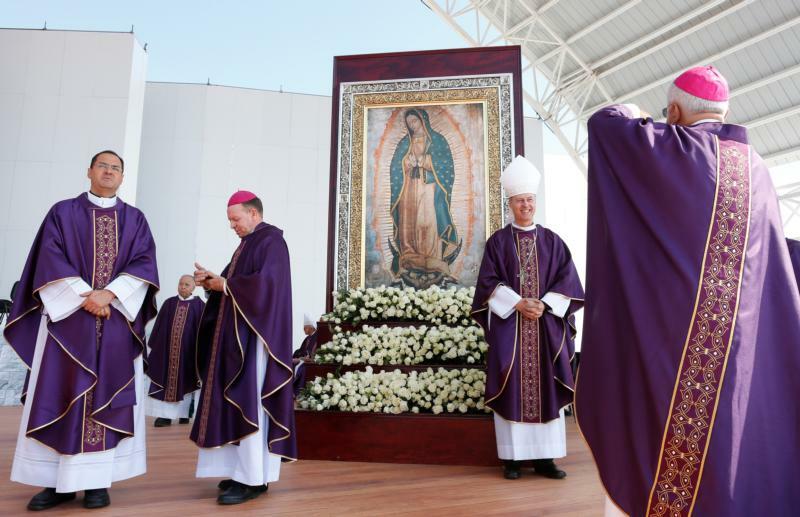 He pointed to data showing a decline in the Catholic population of Mexico City of nearly 10 percentage points from 1990 to 2010, faster than in the country as a whole.